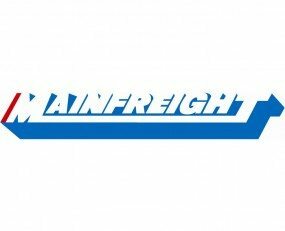 Mainfreight’s annual results showed stronger performances closer to home for the New Zealand-based transport and logistics company. Overall revenues of NZ$*2,618m were 12.2% higher or 10.6% on a constancy exchange rate basis. Its EBITDA of NZ$215m was up 9.0% or 7.9% at constant exchange rates. Its net profit of NZ$108m was 6.3% higher in the year. Domestic revenues of NZ$1,587m were up 16.0% or 13.8% at constant exchange rates. EBITDA in the segment was NZ$162m, up 14.1% or 12.5% at constant exchange rates. The company said it was confident of retaining its momentum in New Zealand but noted that volumes were beginning to outstrip capacity. Air & Ocean revenues of NZ$1,031m represented a 6.8% increase (6.1% at constant FX). EBITDA of $54m was 3.7% lower (4.0% at constant FX). The decrease was attributable to disappointing performances in the Americas and Asia. In Australia, the group recorded its best performance. It added that more sites will become operational soon, which may lower EBITDA growth in the short term.